For Friends, Lovers & Anyone Wishing to Get Away from it All.Since 1973, Englands First & Foremost Friendly Hotel for Gay & Lesbian Guests. The Cliff House, originally the home of a millionaire, is now thoughtfully converted to an exclusive luxury hotel set in delightfully secluded gardens at the sea's edge. Here one can enjoy the peaceful view of the sea from the terrace which fronts the comfortable bar lounge. 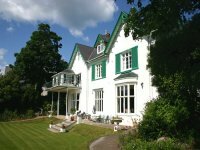 Torquay Hotel, Frognel Hall is a beautifully adapted Victorian Villa in Torquay, Devon, in the heart of the English Riviera, offering superior and superb service and accommodation in Torquay. 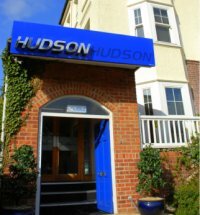 "Gay friendly"
Located just 250 metres from the water's edge, this 4-star hotel is the ideal location for visiting Torquay's harbour and its array of unique shops, restaurants and bars. Extensively refurbished in its centenary year, the hotel offers an outside terrace and double glazing to ensure a peaceful night's sleep. The 10 bedroom hotel consists of spacious, well appointed bedrooms (most with sea views), each with its own stylish shower room, TV, and beverage facilities. There are a range of wines, beers and spirits available for guests to enjoy in the spacious residents' bar/lounge, or while relaxing on the raised front patio, taking in the views across Torwood Gardens. Whether you are looking to have a leisurely holiday relaxing by the pool or a more adventurous time exploring the Jurassic Coast and surrounding areas, Key West situated in lovely tranquil part of Torquay minutes away from Meadfoot Beach, the harbour and the town centre offers you the perfect destination.The resort offers en-suite guest bedrooms or self catering apartments. A spacious Bar, open to non residents, with Sun terraces, a large dining area, health club & outdoor pool all set in beautiful gardens. Daddyhole Sauna and health Club, also open to non residents, offers the choice of revitalizing yourself with self indulgence or working up a hot sweat and completes the resorts package of sheer hedonism and if you are staying at the resort there's no entry charge. 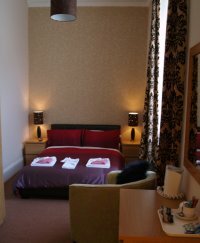 There is a variety of accommodation to suite all pockets ranging from standard en-suite with digital televisions and complementary tea and coffee making facilities to premier rooms with large walk in showers and digital televisions with DVD players. The self catering apartments offer flexibility and independence with cooking facilities and en-suite shower rooms. There is plenty of free on and off road parking. Free access to WIFI is available in the Bar & some rooms. To comply with the equalities act we are a Private Members Club catering for Gay & Bisexual Men. Membership is included when booking. Resting peacefully in a leafy conservation area of Torquay is where we found this beautiful Grade II Victorian house bed and breakfast. From its quiet location it is just a stroll from the famous Meadfoot Beach, and coastal paths that afford stunning views of Torbay. Merlewood House is only 300 metres from the buzz of the harbour, café culture, speciality shops, restaurants and the vibrant gay nightlife that Torquay is famous for. The large en-suite bedrooms are elegantly presented and equipped with premium complimentary toiletries, generously stocked hospitality tray, digital TV, DVD, radio, alarm clock, Wi-Fi access, hairdryer and gay friendly ironing facilities. Breakfasting at Merlewood House is so civilised: fabulous food served at a time to suit you. A variety of therapies and treatments are provided in the fully equipped treatment room by fully qualified and insured therapists and include: Massage & Aromatherapy, Reflexology, Acupuncture, Reiki, EFT, Hypnotherapy and Neuro Linguistic Programming (NLP). Wendy is a remarkably talented host who has a fabulous relaxed outlook on life and a sensational sense of humour. She has created a stylish, elegant, comfortable & relaxing environment that just oozes class & the only starchiness you will find here is in the table linen. 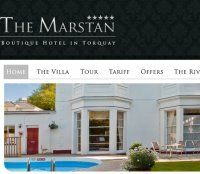 The Marstan Boutique Hotel in Torquay, South Devon is one of only four establishments in Torquay to have received a five star guest accommodation rating. Situated just 2 minutes from Meadfoot beach and 10 minutes from the town centre and gay venues. "Gay friendly"